This look may will be my go-to for spring and summer. 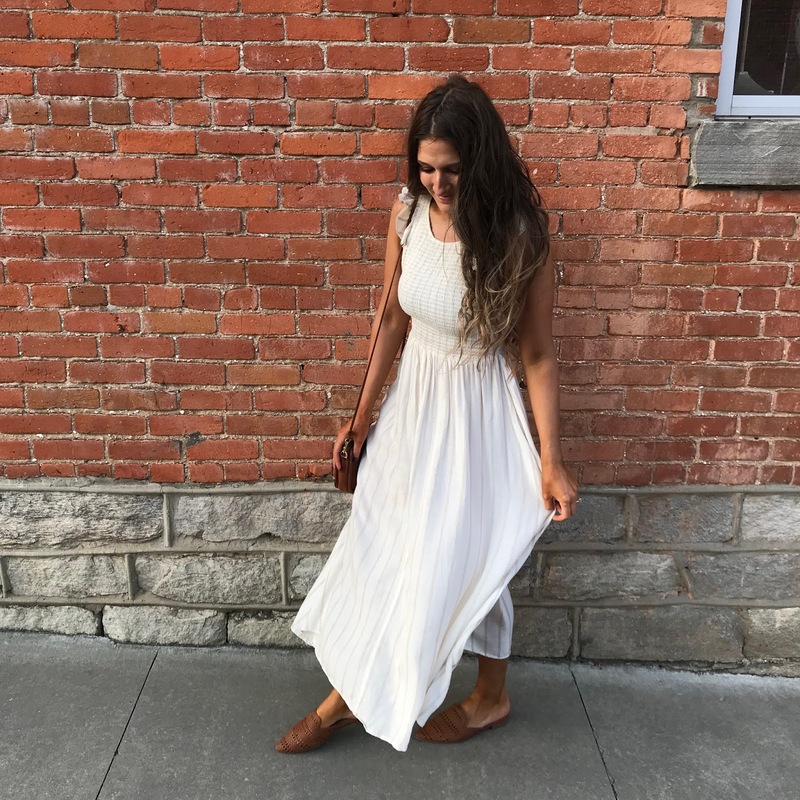 Anyone who knows me knows I love a good white dress. I think it looks so nice with a tan and is easily styled many different ways. This Free People maxi dress was one of my favorites from last season, so when they came out with a white version I snagged it immediately. 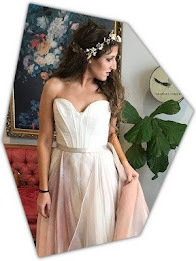 (I also have this dress in blue, green, and pink... don't judge me. They also have yellow, I don't have that color, yet.) 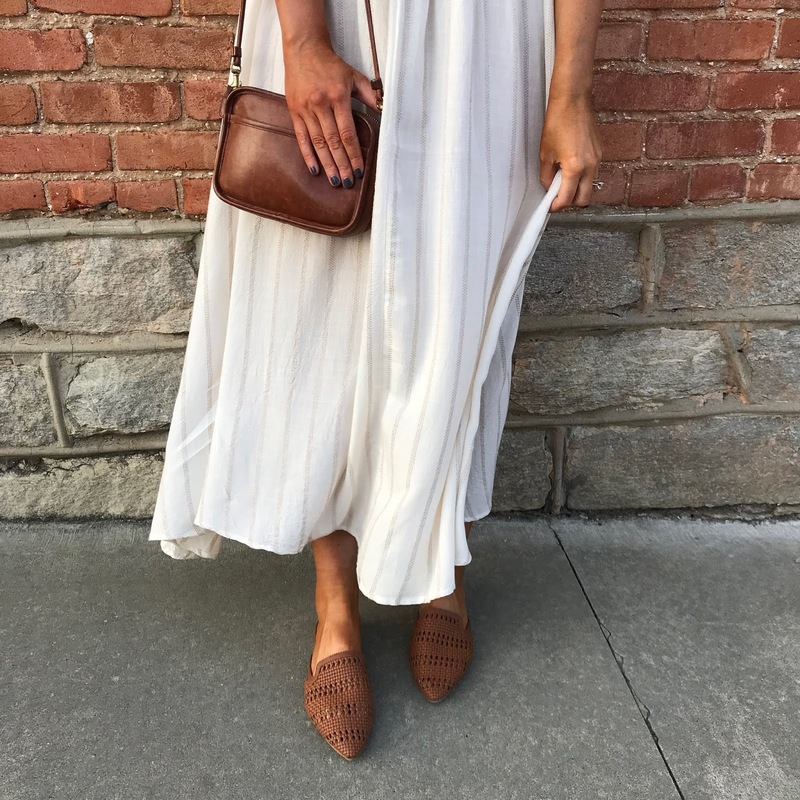 I decided to style this dress with a vintage leather bag and these brown woven slides for a more casual look. These pointed toe mules from Target are a great quality for the price and are currently on sale! I think they would also look great paired with distressed denim cut off shorts, a white lace blouse, and layered delicate gold necklaces. Might have to try that look next. If I ever take off this dress that is. Hands down my favorite restaurant in downtown Charleston, The Darling Oyster Bar does not disappoint. From its fresh oysters on the half shell to its dreamy tiled floors, this restaurant it both easy on the eyes and the taste buds! 2. 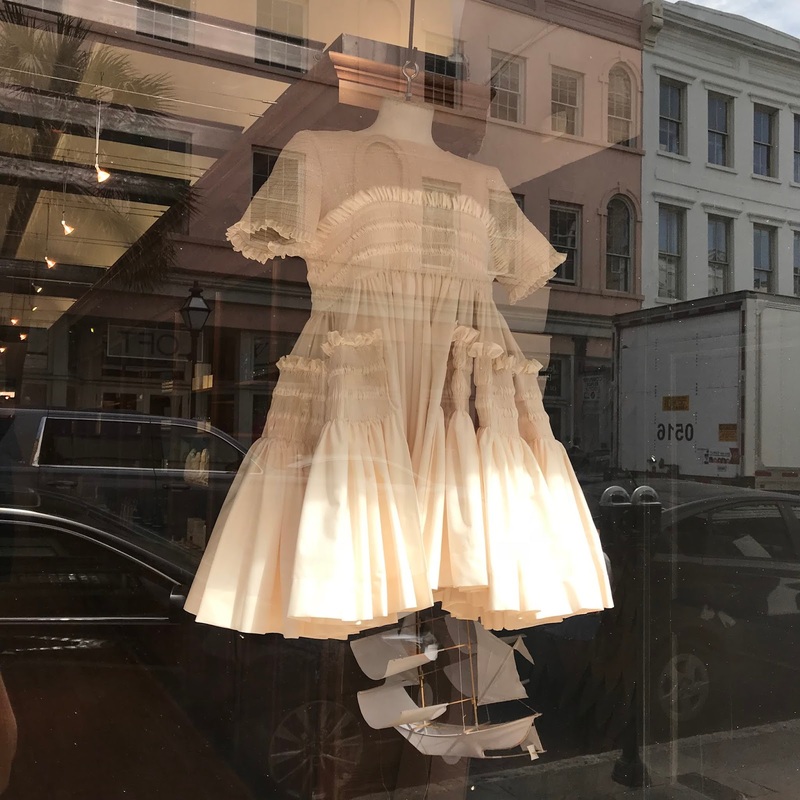 King Street Shopping:King Street is the pulse of downtown Charleston and home to many stylish clothing boutiques and home decor stores. A few of my favorites include: Free People, Ro Sham Beaux, and Skinny Dip (see below). 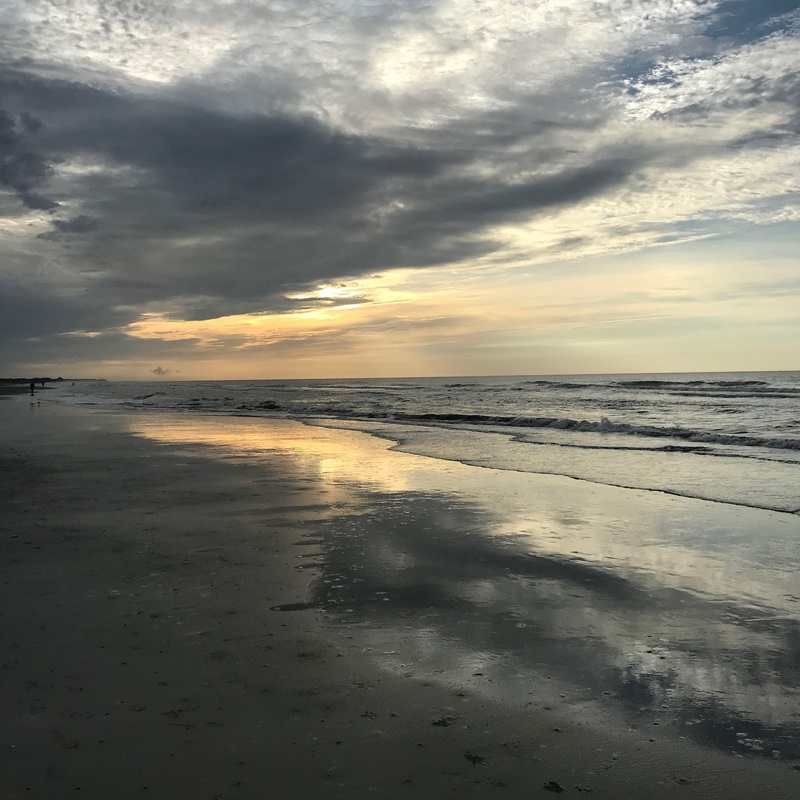 This Charleston beach holds many memories for me including child hood family vacations, scenic runs down Ocean Blvd, and way too many trips to the ice cream stand. This beautiful island is also where we took our first beach trip as a new family! Any city I visit I have to check out the local plant nursery. Housed in Mount Pleasant Abide a While is home to interior gifts, lush house plants, and beautiful outdoor blooms. I stop and buy a "souvenir" on every trip! 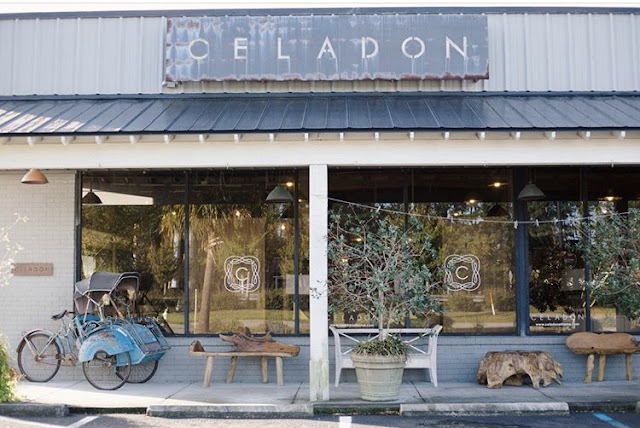 Celadon home has been a major source of interior design inspiration for me over the years. Their modern, bohemian, and relaxed style is unprecedented. Their main store location is in Mount Pleasant (2 minutes from Abide a While!) and they have a second warehouse location in North Charleston with amazing furniture deals! Also they sell accessories and plants. Trust me, you will want all the things. I love staying in an Airbnb in cities because I feel like you get to experience the local neighborhood. 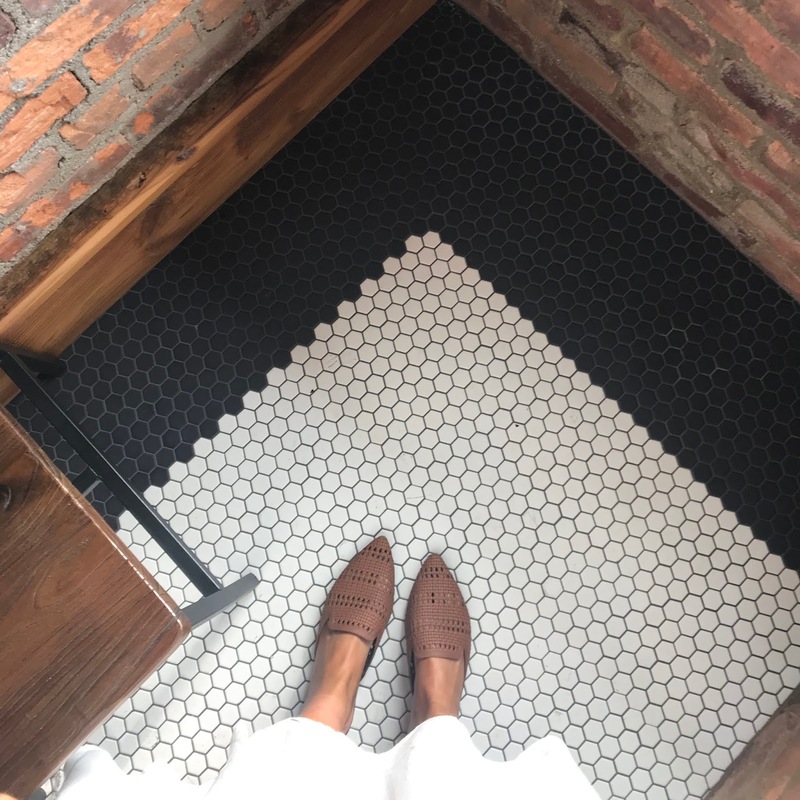 They also often have amazing interior design inspiration like this downtown Mount Pleasant house we stayed at for my bachelorette party last year. This trendy eatery is located on Sullivan's Island. I tried it for the first time for my 30th birthday trip and everything from the appetizers to the decor is spot on! Definitely because a favorite of mine and I look forward to going back next time! If you go to Charleston you have to visit the historic Rainbow Row. Overlooking the bay, this stretch of houses is extremely picturesque. 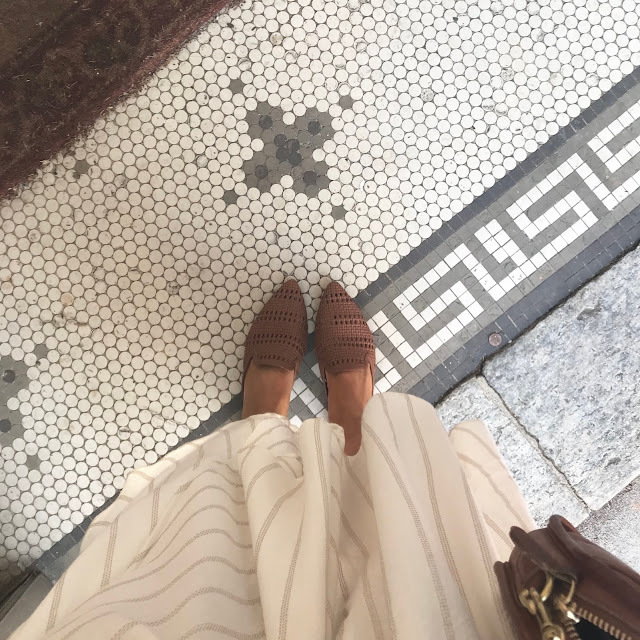 Brunch is Charleston is on another level with amazing places on every corner. One of my favorites and most visited is Poogan's Porch. 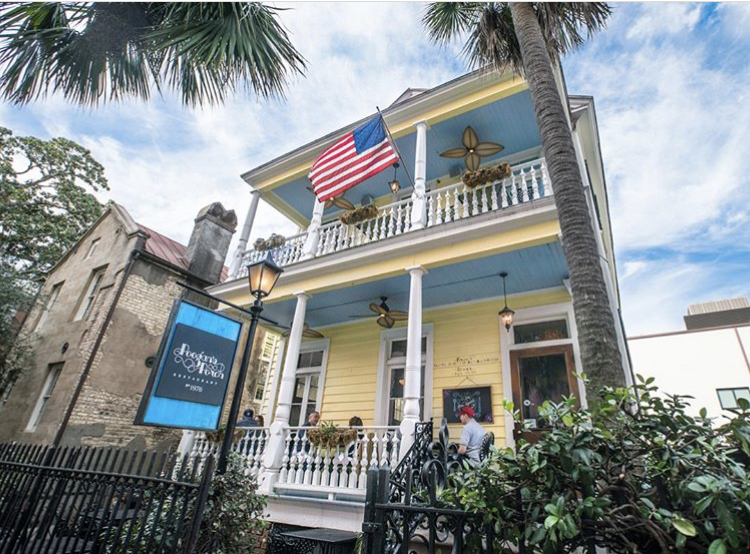 Located in a (haunted) historic downtown house, this restaurant has the best southern biscuits and classic brunch options. Be sure to make a reservation because it is V popular! Such a unique spot! Skinny dip is a boutique downstairs turned Rose bar + co-working space upstairs with the cutest back drops and mech. Definitely a place to check out with the girls! Happy April! I hope everyone is having a great start to their week! I am so happy it is spring and so happy we are starting to get a little more sunshine here in South Carolina! 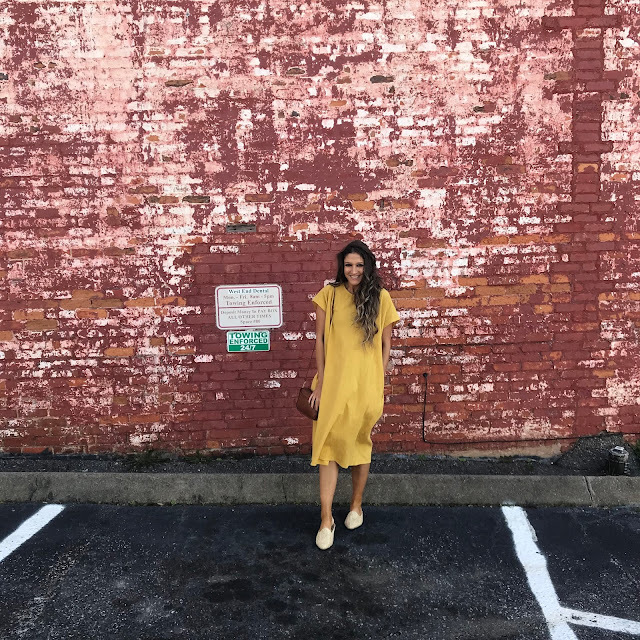 It has finally been warm enough to wear dresses and I couldn't be more excited about that. 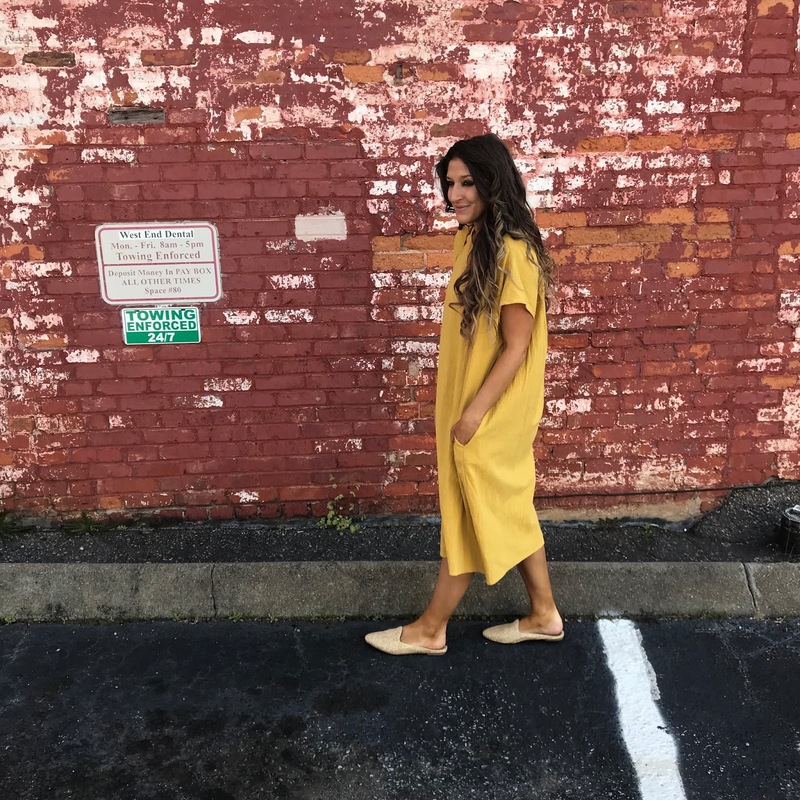 Slides have been a all over stores for the past few springs, but this staple trend is back in full force this spring with woven and embellished slides toping the list. I love slides because they are fun and comfortable. 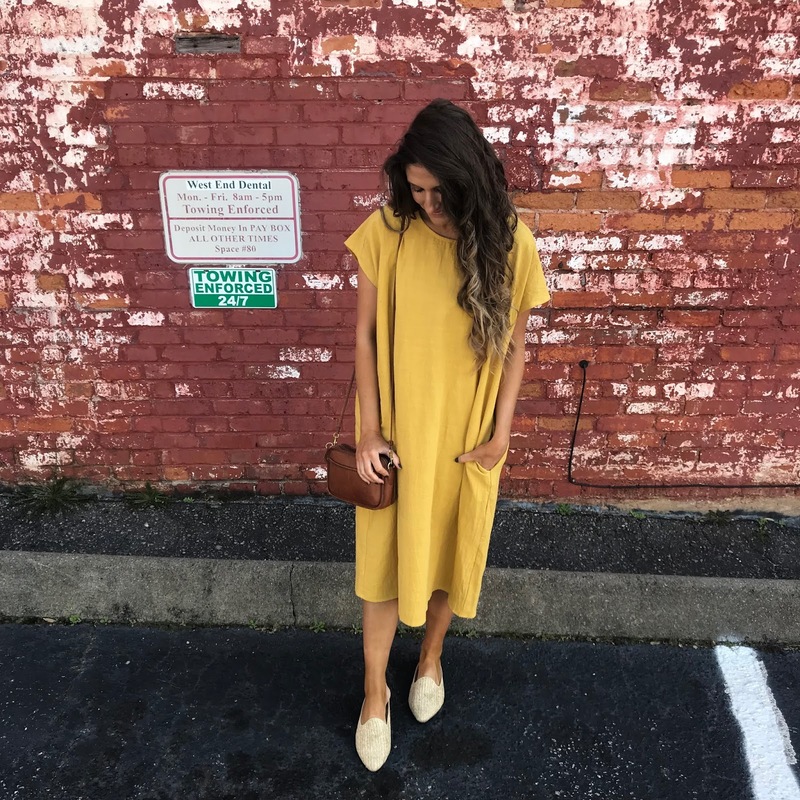 With the flat structure, they are easy to wear for days wandering around downtown. I also have been loving pointed to slides because they elongate the leg when you are pairing them with a dress! 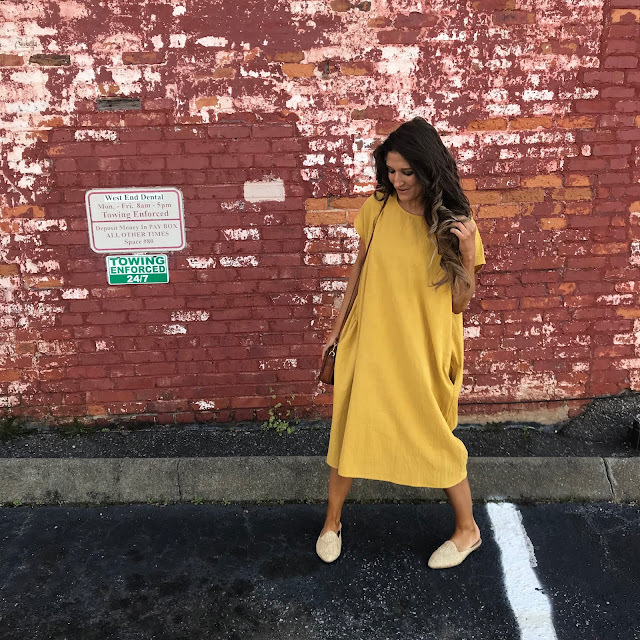 FYI- A lot of these slides pictured are from Target and they are currently running some good sales on women's shoes so be sure to check them out! 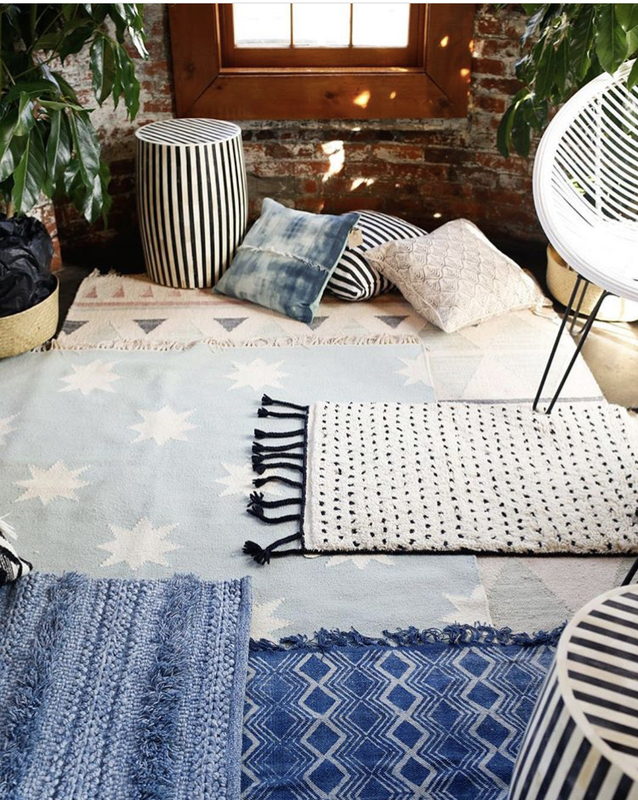 I love rattan bags because they have such a bohemian vibe! I found this round beauty at Francesca's last spring and I loved the round shape and cross body style! 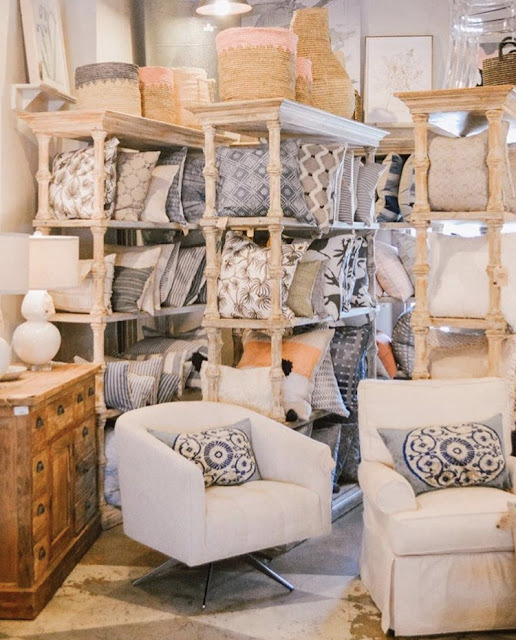 Anthropologie and World Market both a great selection of rattan bags right now in various shapes so be sure to check those out. Disclaimer: Some rattan bags with pick your clothing so be careful. 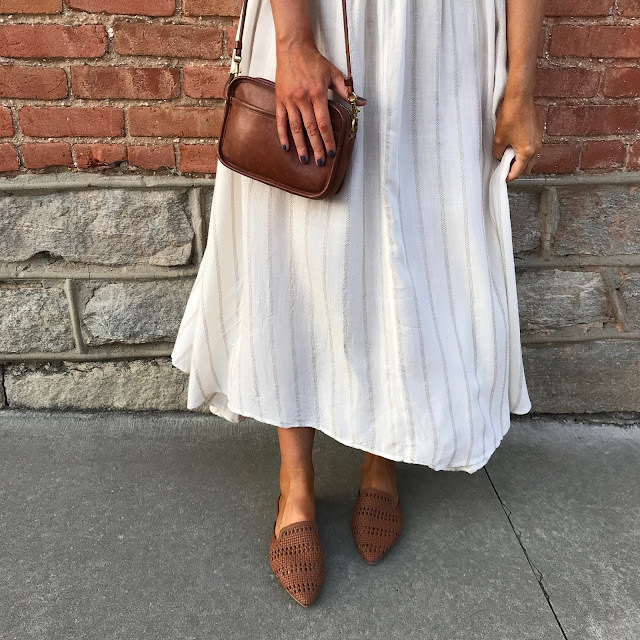 I love this bag but it has picked a few of my maxi dresses so be sure to look out for that! 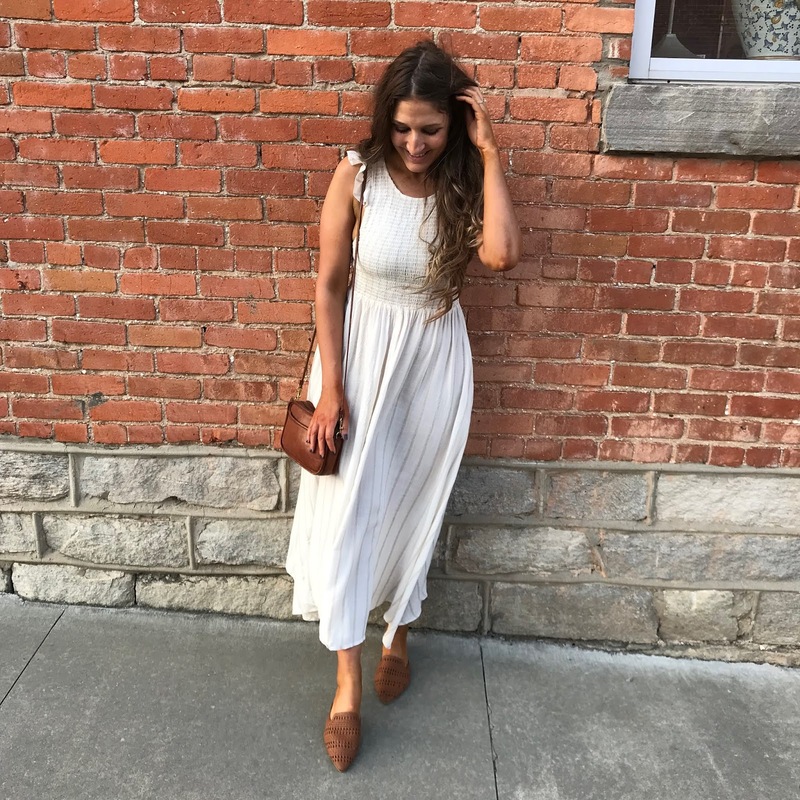 Another spring favorite are maxi dresses. 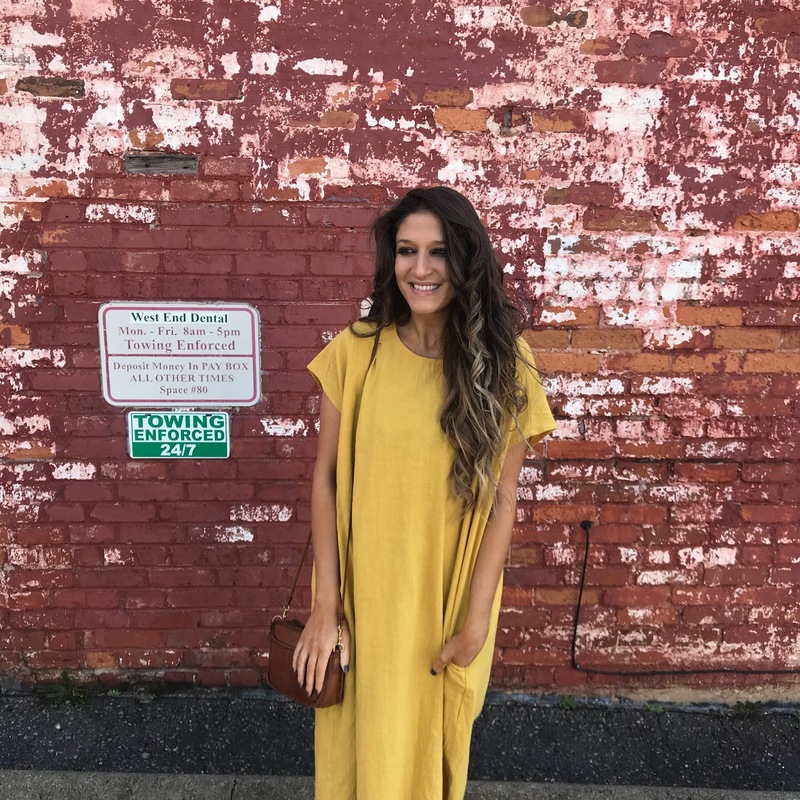 I love all dresses to be honest, but there is something about a maxi dress that makes it extremely versatile for many different occasions: the length, the flow, and the comfort. 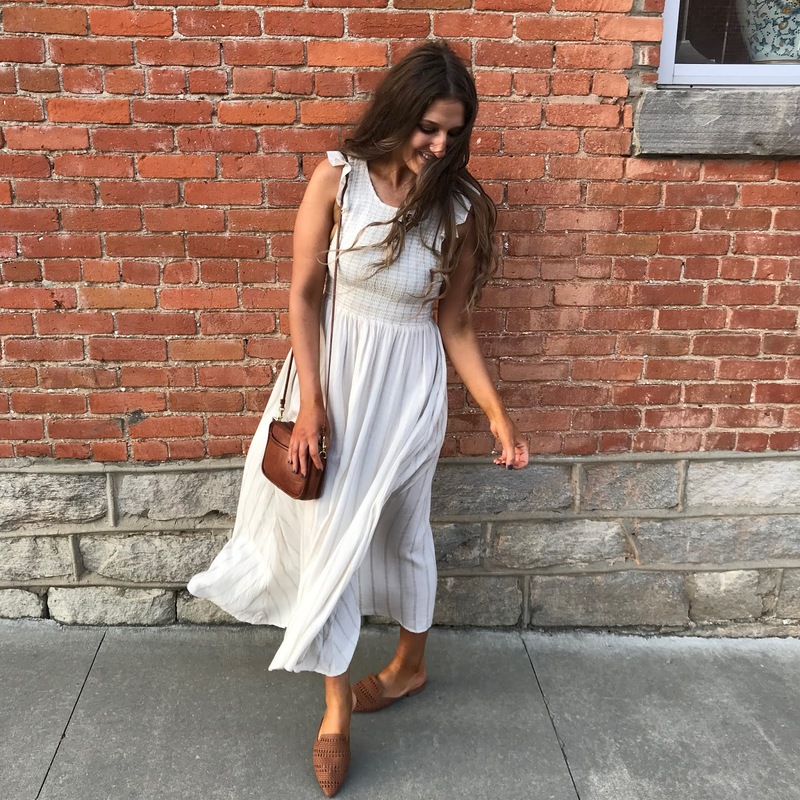 I am obsessed (I have in 5 colors) this Free People Maxi Dress. (Also just purchased the white version here!) It is so comfortable to I love the smocked and striped detailing. 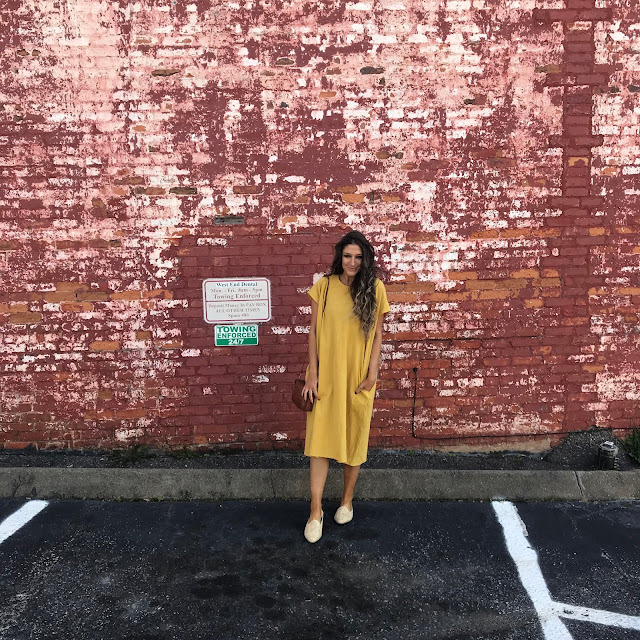 I apologize in advance for how often I will wear these dresses this spring and summer. This mustard yellow, is a color I have always loved. 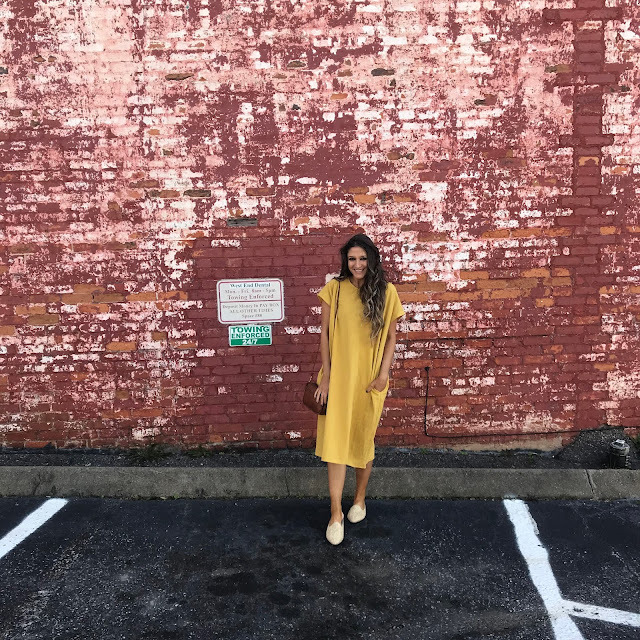 I am a neutral girl through and through everything from fashion to interior design, I am not a big color person. But there is something about this color that I love for spring paired with tan skin and ombre hair. I also have some pottery dishes in this color and they make me so happy!